Parenting a teenage boy who is struggling with severe behavioral issues can make even the best parents feel like failures. 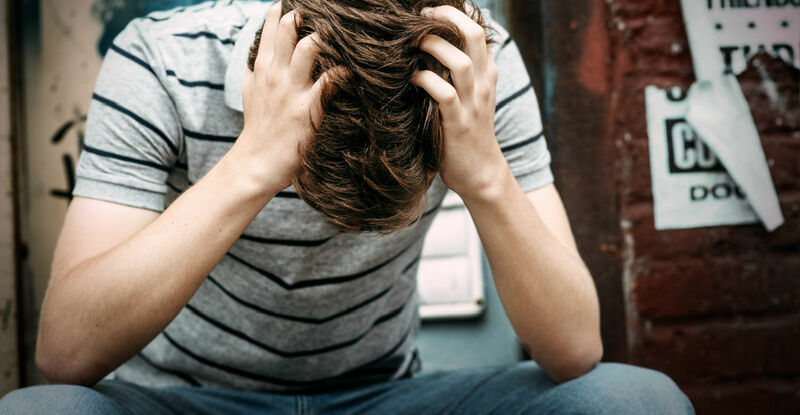 Sick with worry, tired from stress and on edge from constant fighting, parents of troubled teen boys can feel like there are no solutions to their problems. Fortunately, there are professional teen help facilities that provide specialized treatments for troubled teen boys. As part of that treatment plan, family therapy can help parents get a new handle on parenting troubled teen boys. Therapeutic professionals have years of experience in counseling with both teens and parents on how to mend relationships, sustain healthy interactions and how to better parent their teenage boy based on their unique personality and needs. Every teenager engages in some kind of rebellious behavior during their formative years. They will push boundaries, develop an attitude, and be difficult to deal with. While it would be nice if our children always obeyed our every demand, some rule breaking is to be expected, even healthy. It allows them to separate from you and form a sense of themselves as individuals. However, not all teens remain within the category of normal rebellion. In some circumstances, they may begin to engage in risky behaviors with lifelong consequences. Or they could develop certain mental or personality disorders that have a major impact on their ability to cope with everyday life. Substance abuse, depression, anxiety, anger problems, aggression, criminal behaviors, sexual acting out, and other issues may arise. These are significantly more serious, and have to be addressed by a professional if they are to overcome them. The longer you wait, the worst the problems can become. But it is not a matter of your child being treated alone. Modification in family dynamics are crucial to the success of their rehabilitation. Family therapy can help in a multitude of ways. It is after midnight and you are sitting in your kitchen, shaking with a combination of anxiety and anger. Your teen was supposed to be home two hours ago, and they are refusing to answer your calls or texts. When they finally walk through the door, smelling of cigarette smoke and obviously under the influencer, your fury grows. Over the course of the screaming match you both say some things you don’t mean. This scenario probably sounds familiar to you, and many parents go through it. When you are dealing with a troubled teen, those instances may be more common. No matter what parents may have done or not done in the past, now is the time to look toward the future. Family therapy can help you to both overcome the damage done to your relationship during those arguments, and help you to learn better ways to communicate from now on. Part of a teenager’s rebelliousness is their desire to be independent and start taking steps toward the adult world. Parents, who are afraid of loss or control, often create obstacles for this transition, and this results in the clashes. Parents can work with their troubled teen son to identify common goals and then help their teen work toward them. A professional can help your family establish reasonable boundaries, and navigate the often complicated search for freedom your teen is undergoing. By addressing the issue in a mature way, your teen will feel more respected and lash out less. Poor relationships can’t be repaired overnight, and parents who envision a quick fix or a perfect ending will be disappointed. As troubled teens work through their issues with a family therapist, there may be times where the teens are either angry, non-responsive or regress in their therapy. Parents should be patient and understanding, while knowing that the process is long and slow. When you feel yourself getting hurt or frustrated, remember that this is a step by step path towards a healthier relationship with your teen. All roads have bumps, but that doesn’t make them less worthy of travel. Part of repairing family relationships is re-establishing trust. Many parents feel like the teen is the only one that needs to earn back trust, but the teens need to be able to trust parents again as well. Parents can ensure they are making and keeping promises, holding up their part of any agreements and making sure not to let their troubled teen son down when it comes to commitments. As they watch you fulfill your commitments and trust is rebuilt, your teen will begin to emulate your behavior. It takes a great deal of time and patience, but by living through example you will be giving your teen a gift that will last through the rest of their lives. Your therapist can assist you in remaining steadfast in these behaviors, and help you communicate and refocus when you slip. Teens often develop negative behaviors due to stressful or traumatic situations they have experienced in their lives, though this is not always the case. As a parent, it can be difficult to know how to best change our own behaviors and modify environments to be most nurturing for our children. A therapist can help to point out any unstable elements to your home life, and give you the tools you need to provide a safe, loving and healing house for your entire family to thrive in. Ultimately, that’s what every human being wants–love and acceptance. Parents and teens can be completely different, yet still thrive in an atmosphere of love, trust and respect. In cases where trauma has occurred, this process is especially crucial. Patterns of behavior can develop over multiple generations, and the parents may be as affected as the child. A professional will give you a blueprint for navigating these choppy waters, so you can grow together as a family.